Whether you’re a longtime local or a regular visitor, you can never truly see all New York City has to offer. That’s why we’ve rounded up 20 New York attractions everyone should witness at least once. From a rooftop farm to world-famous museums, from iconic parks to the best date-night destinations, these spots are some of the must see attractions in New York City. It should come as no surprise that one of the best flea markets in New York City was born and bred in the borough of Brooklyn. 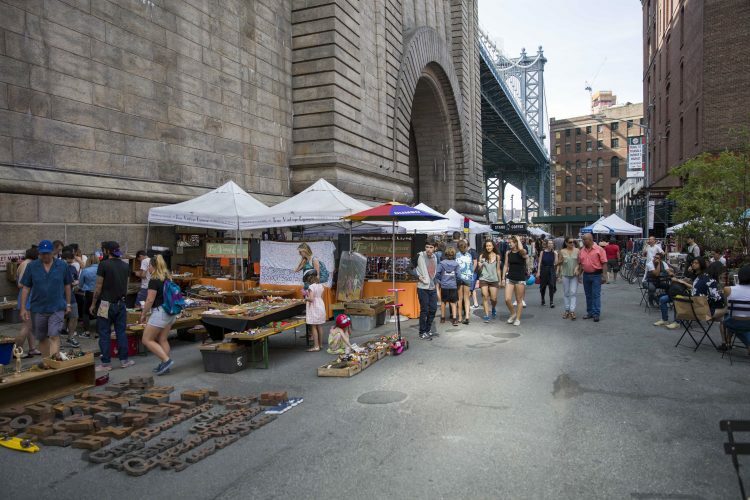 Every weekend since 2008, Brooklyn Flea has brought hundreds of top vendors of vintage clothing, furniture, antiques, and more to New York City shoppers. Trust the multiple major publications who’ve ranked the Flea as one of the world’s top markets, and save your shopping for Saturdays and Sundays in Brooklyn, New York. If you’re lucky enough to explore the city in the summertime, your go-to weekend destination should be Smorgasburg. 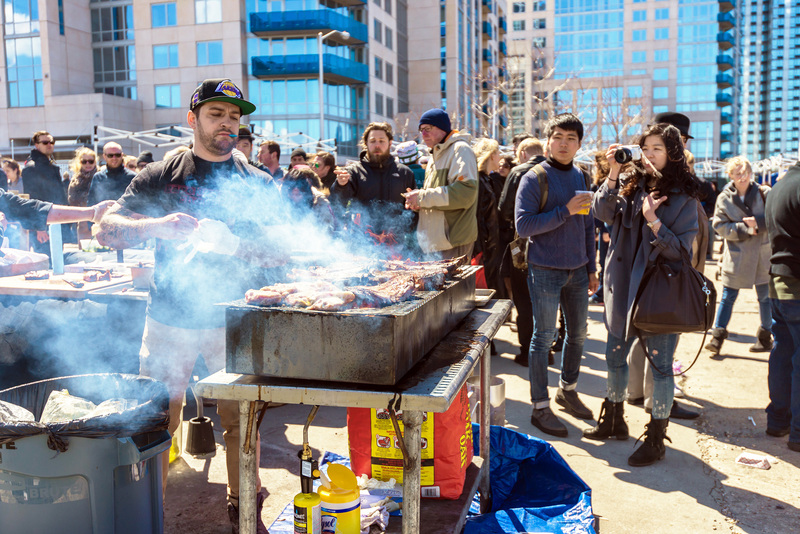 A foodie fantasy realized, this culinary market invites attendees to eat their way through the best of New York’s food scene: from trendy churro ice cream sandwiches to traditional Latin mofongo, Korean street snacks and plant-based junk food – Smorgasburg offers something for every appetite. 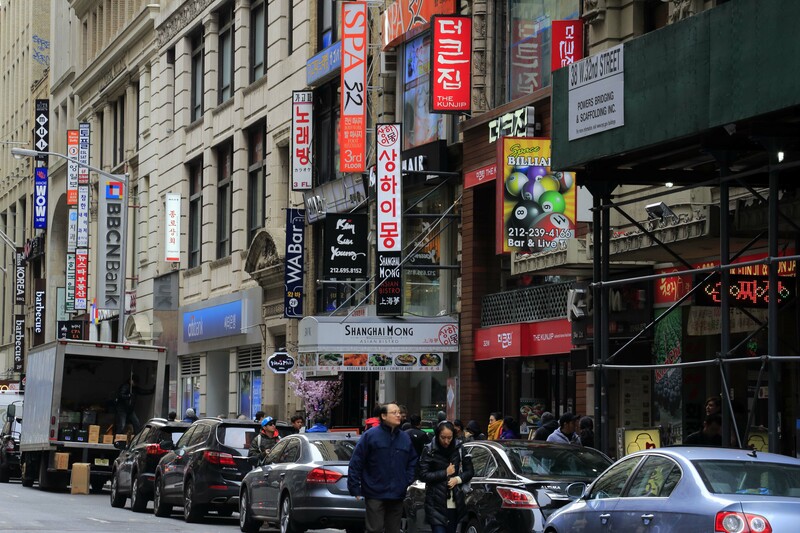 One of many ethnic enclaves in New York City, Koreatown stands out for the unique offerings of its shops and restaurants. K-beauty boutiques, Korean bookshops, and spots serving up bubble tea, Korean pastries, and more line this one block-stretch of over 100 small businesses. Today, the Brooklyn Bridge is as iconic as it is crowded with street vendors, police security, and selfie stick-wielding tourists. Plan your next walk for the less-congested Williamsburg Bridge, which offers similarly stellar views of both the Manhattan and Brooklyn skylines. 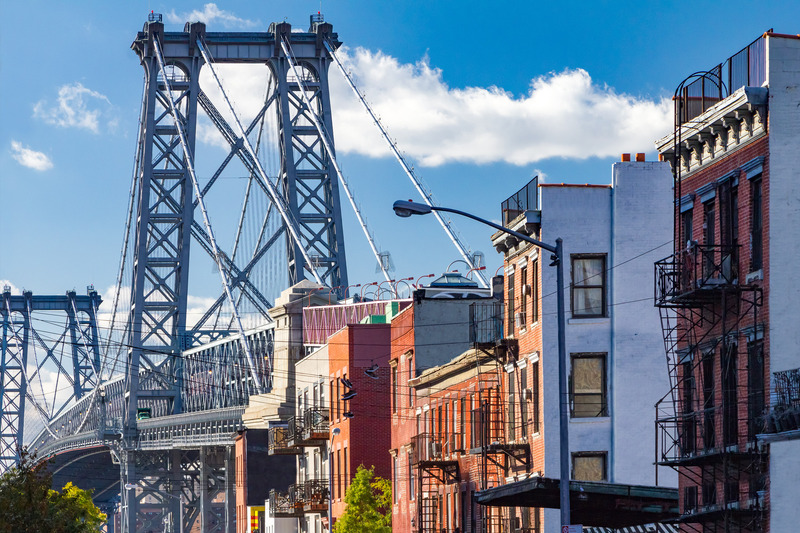 Running between Williamsburg, Brooklyn and Lower Manhattan, the bridge promises walkers plenty of restaurants, bars, and parks at either end of their journey. A natural space with a cosmopolitan edge, Brooklyn Grange’s Rooftop Farms offer visitors the best of two worlds. 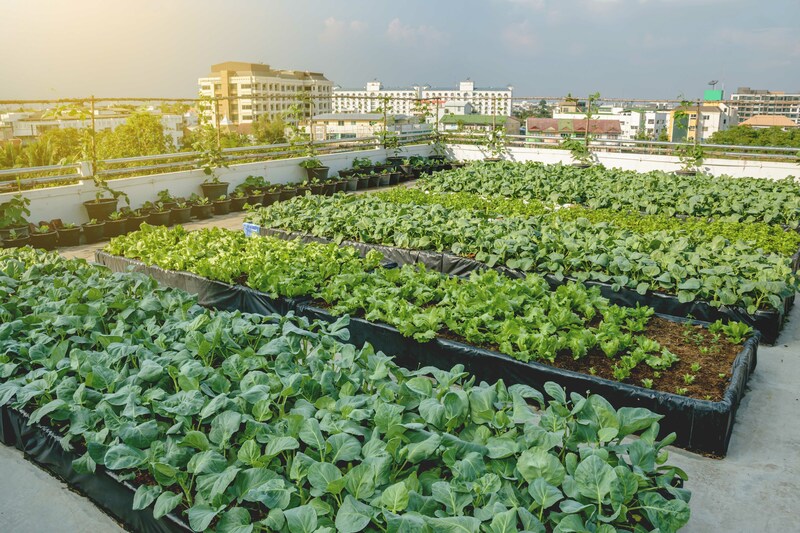 Operating on two rooftops in Brooklyn and Queens, Brooklyn Grange grows over 50,000 pounds of organic produce each year while also hosting creative cooking workshops, hands-on group dinners, and evening yoga classes. This payday, forego Fifth Avenue in favor of the more bohemian Artists and Fleas, a shopping destination showcasing diverse independent businesses. Emphasizing local talents, the bazaar hosts sellers of vintage clothing, artisan bodycare products and home goods, hand-crafted jewelry, and more. With outposts in Williamsburg, Chelsea, and Soho, shopping small is easier— and more stylish— than ever before thanks to Artists and Fleas. Established 160 years ago and welcoming 25 million guests each year, Central Park is a New York City attraction that never goes out of style. There’s no shortage of sights to see in the park, which houses nearly 50 famous fountains, sculptures, and monuments, 36 bridges and arches, and 192 species of winged-residents. 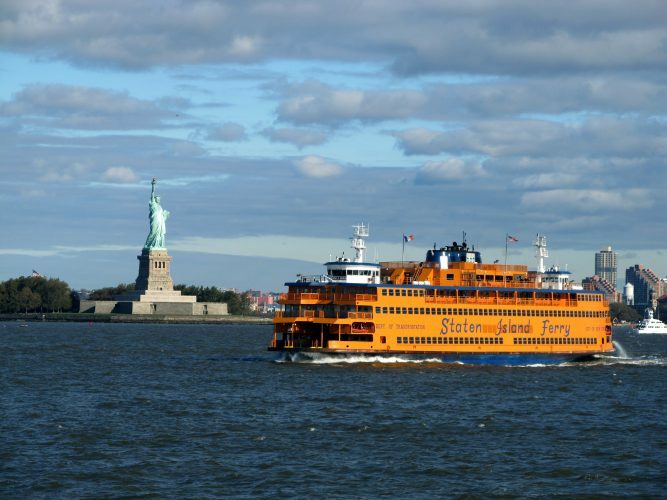 Never one to be considered a top New York City attraction, Staten Island is not the draw of the Staten Island Ferry. 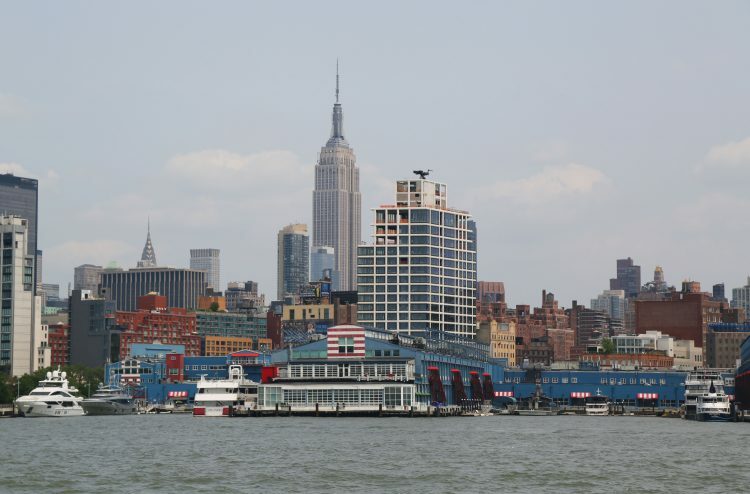 Traveling between Manhattan and the borough of Staten Island, the ferry provides picture-perfect views of New York Harbor, a glimpse of the famous Ellis Island, and a front-row look at Lady Liberty herself. The best part? Riders may enjoy all of this plus the 25-minute ride itself completely free of charge. 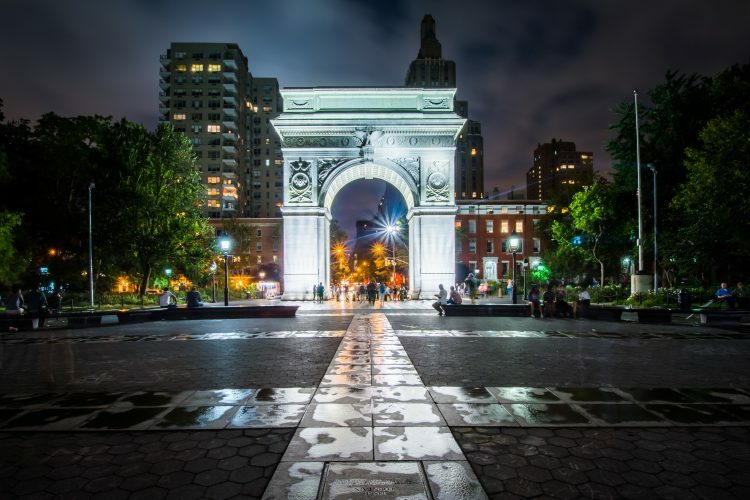 Living up to its reputation as an outdoor hub for New York artists, Washington Square Park may be the best city park for people-watching. Located in historic Greenwich Village – the neighborhood known as the birthplace of the East Coast’s Beat movement and the one-time home of Andy Warhol, Jackson Pollock, Walt Whitman, and more. The park’s iconic arch and fountain continue to provide inspiration for a new generation. In a city with a pizza place on every corner, a slice has got to be pretty special to consistently earn block-long lines and over 2,000 reviews on Yelp. 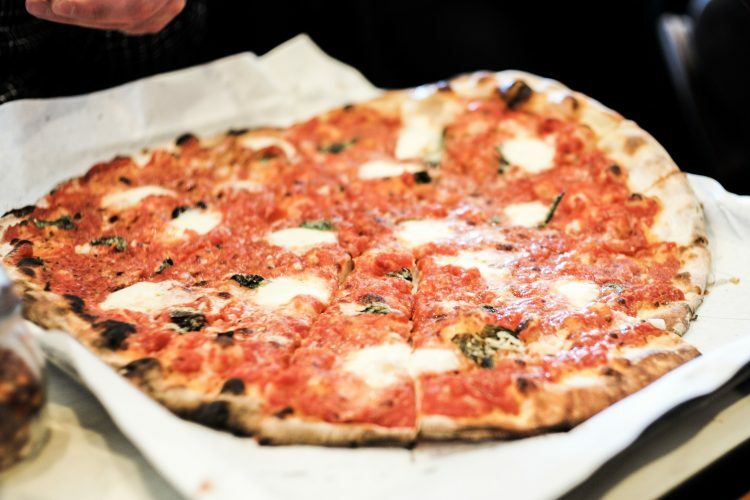 Trust us and your fellow foodies: the best pies in New York City are served at Roberta’s. Locals from every borough flock to this Bushwick hotspot for a taste of pies like the Lil’ Stinker, which comes topped with aromatic Parmigiano, Pecorino, and a double helping of garlic; the Good Girl, served with kale, pork sausage, and Taleggio; or the menu all-star the Bee Sting, which provides an unexpected yet welcome blend of hot chili and sweet honey. The world’s first museum dedicated to the work of 20th and 21st-century American artists, the Whitney Museum is a trendsetter within the global art community. Focusing on works by living American artists, the Whitney is known for exhibiting before-they-break talents and their creations. Housing more than 22,000 works, the Whitney’s stunning new building features a striking design and multiple outdoor spaces, making the facility an attraction in itself. 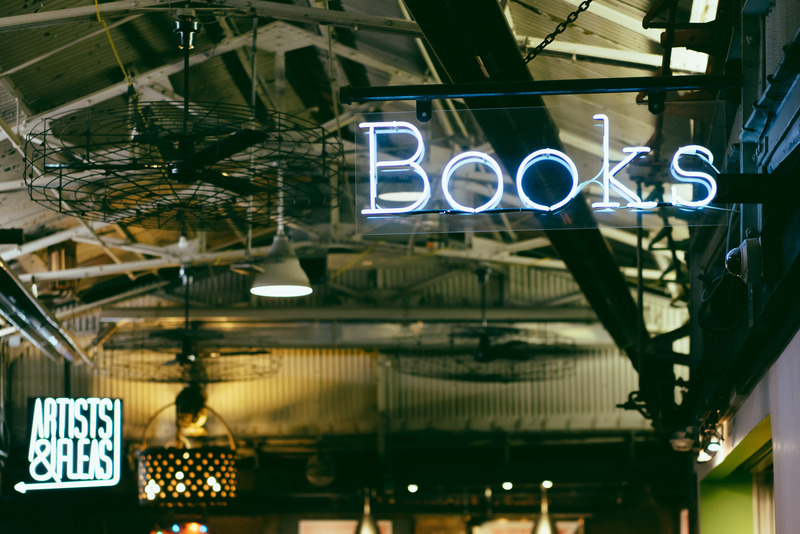 The Strand’s slogan ’18 miles of books and counting’ is no exaggeration: the world-famous bookshop currently holds over 2.5 million titles, including new, rare, and used books. 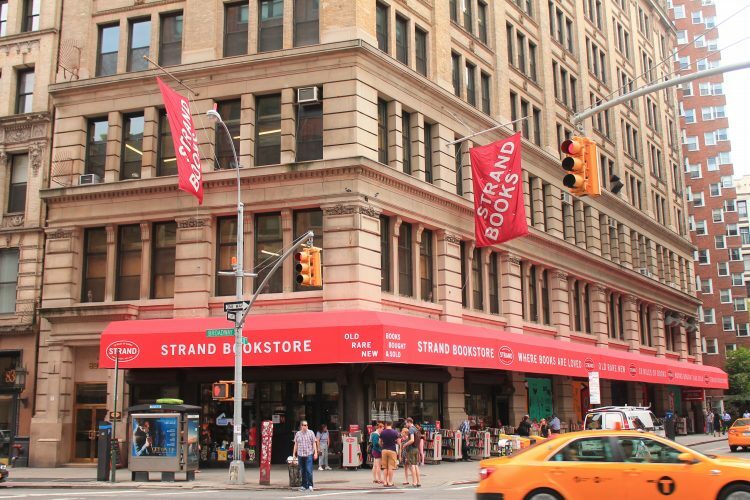 Also offering a highly-curated selection of literary gifts as well as an events calendar bursting with book club meetings, signings, and author-led conversations, the Strand is a must-visit attraction for lit-lovers everywhere. 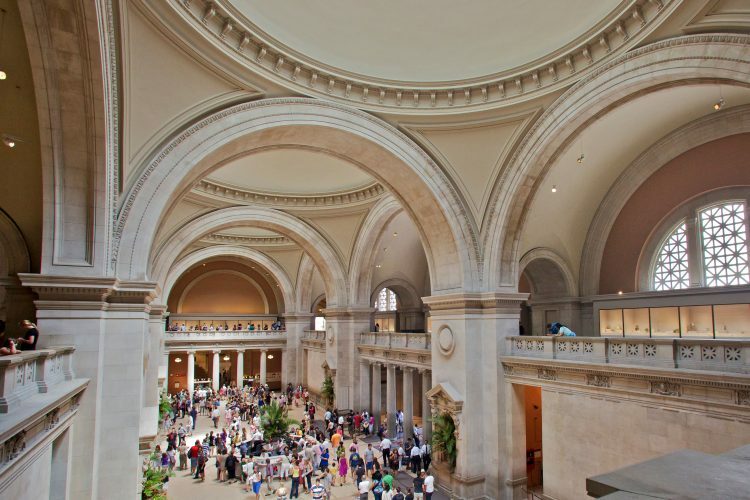 Experience more than 5,000 years of global art at The Metropolitan Museum of Art. Whether you choose to climb the famous front steps of The Met Fifth Avenue, lose yourself in The Met Cloisters’ serene environment, or explore fresh modern art at the recently-debuted Met Breuer, you’re sure to see why The Met is one of the most-visited museums in the world. A perfect destination for date night, happy hour, and Friday night drinks, the Frying Pan is a not-so-well-kept secret among locals. Permanently docked on the Hudson River, this historic vessel offers gorgeous views of the city skyline and a menu of Cape Cod-approved offerings that make even the most ordinary day feel like a vacation. Those who brave the infamously-long entrance line are rewarded with Old Bay-spiced french fries, fresh lobster rolls, and buckets of ice-cold beers. 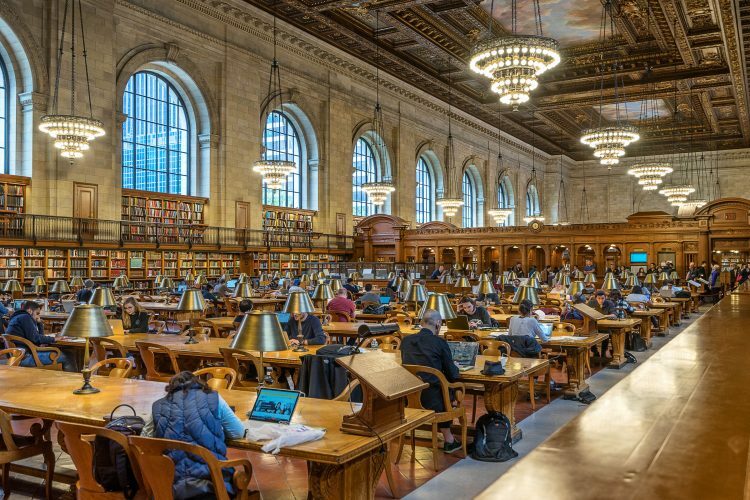 Bibliophiles rejoice: the New York Public Library (NYPL)’s famous Rose Main Reading Room has been reopened to the public after a lengthy restoration period. Well-worth the wait, the stunning room boasts a 52-foot ceiling decorated with murals, access to over 4 million NYPL items, and two city blocks worth of space where locals may work, study, or simply escape from the bustle of the streets. An iconic intellectual site, on any given day the room hosts the next great authors, entrepreneurs, and scholars. Only Nitehawk Cinema could consistently tear crowds of movie-loving locals away from Netflix each night. Playing a mix of cult-favorite flicks, indie films, and blockbusters, the quirky entertainment at this Williamsburg hotspot is only half the fun. Offering over 20 varieties of beer and wine, a wide array of liquors, and gourmet snacks, including lamb sliders, homemade jerky, and truffle-butter popcorn, Nitehawk revives the old-school tradition of dinner and a movie. 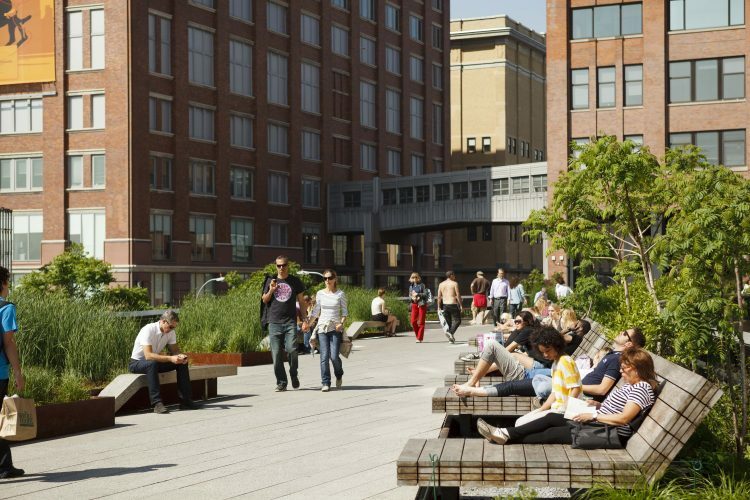 Tourists and locals alike can agree on the High Line, an elevated park bursting with greenery, reclining patio chairs, and an array of on-site eateries serving up wine, small plates, and gourmet desserts. 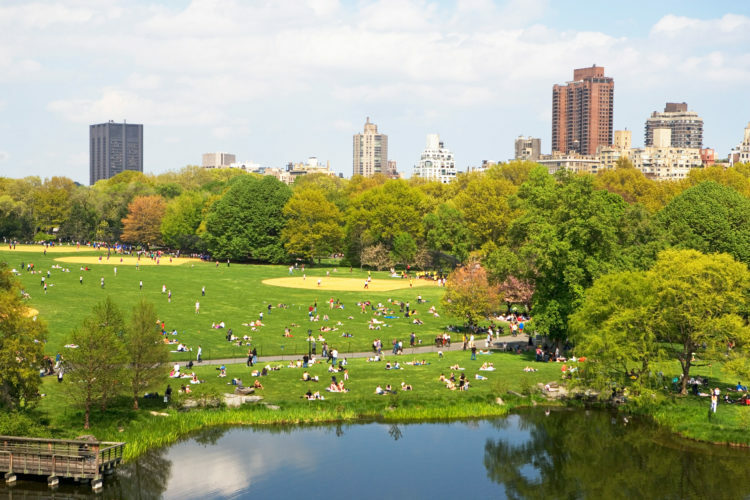 Offering prime real estate for city sunbathers as well as gorgeous views of the sunset, the park is the perfect place to wile away a warm New York day. 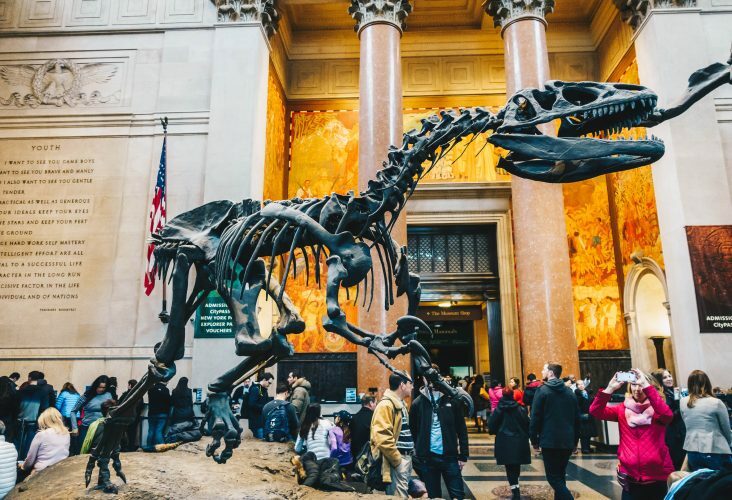 The American Museum of Natural History hosts some of the city’s most iconic exhibitions, such as the Hall of Ornithischian Dinosaurs and the Human Origins and Cultural Halls. In addition to these permanent offerings, the museum has also been celebrated for its buzz-worthy ¡Cuba! exhibition, beautiful Butterfly Conservatory, and its immersive Dark Universe space show narrated by Neil deGrasse Tyson. Captivating the imaginations of children and adults alike, the American Museum of Natural History is a must-visit destination for self-described ‘geeks’ of all ages. Tourists may come to Katz’s Delicatessen to glimpse the site of When Harry Met Sally’s most infamous scene, but they’ll stay for the deli’s superior hot pastrami sandwich. 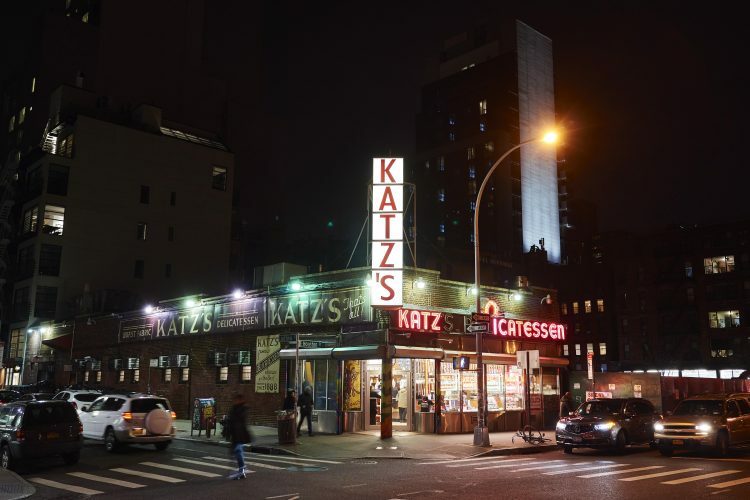 In addition to the two-handed, high-piled sandwiches, Katz’s cooks up crispy potato latkes, lokshen noodle pudding, and mouth-watering knishes for anyone hungry for a taste of classic New York City. Visit this iconic delicatessen with a group, order a spread to share, and thank us later. A city of artists and trendsetters, it makes sense that New York is home to the country’s largest platform for contemporary art. 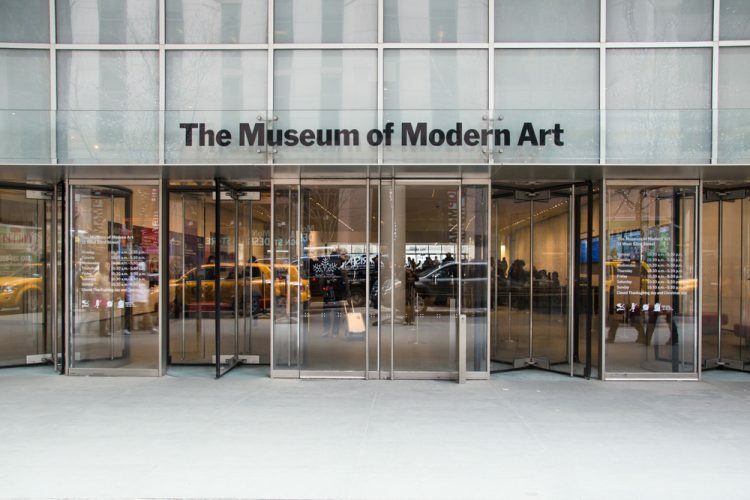 At the Museum of Modern Art, the work of 20th-century greats such as Pablo Picasso, Frida Kahlo, and Diane Arbus share space with contemporary creations by artists including Marina Abramović, the Guerrilla Girls and Ai Weiwei. Showcasing photography, paintings, multimedia exhibitions, and more, MoMA invites you to enjoy tomorrow’s masterpieces, today.